This new book will raise your math knowledge to a new power. Numbers and mathematics underpin the natural world, its forces, and—perhaps most important during the NFL playoffs—the games played by us sports-minded homo sapiens. My eminent Sports Illustrated colleague Jon Wertheim has written a great new book with equally eminent mathematician Tobias Moskowitz of the University of Chicago business school that will change the way you look at sports and enhance your understanding of numbers, math and probability. An excerpt ran in the Jan. 17 issue of SI on the subject of home field advantage. Why might the Chicago Bears and Pittsburgh Steelers have the edge in this weekend's games against the Green Bay Packers and New York Jets? Read and find out. If you're eager to get the book and don't pick it up sooner, we'll have it for sale at The Naturalist's Notebook this summer as part of our look at nature's numbers. This is a classic one. Helpful hint: The answer is a whole number, not a fraction: Haretown and Tortoiseville are 55 miles apart. A hare travels at 9 miles per hour from Haretown to Tortoiseville, while a tortoise travels at 2 miles per hour from Tortoiseville to Haretown. Joy Adamson, the Czech-born naturalist, artist and author who wrote Born Free, would have been 111 years old today. 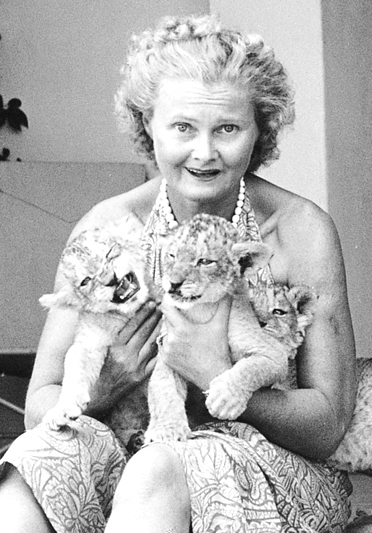 She's most famous for having raised Elsa, a lioness cub who was orphaned when Adamson's husband, a game warden in Kenya, shot its mother when charged by the animal. It's been many years since I've watched the Academy Award-winning movie Born Free. This week might be a good time to see if it's available on Netflix or elsewhere. Andre-Marie Ampere, the French physicist who discovered how electricity and magnetism interact—and thus invented the science of electromagnetism—would have been 236 today. His discovery was the first step in our finding out that the Earth itself is a giant, metal-core electromagnet, with a magnetic field that birds (and probably certain other animals) can sense. Despite family tragedy (his father, a justice of the peace, was executed during the French Revolution, when Andre was a teenager), Ampere advanced our knowledge so much that a unit of electricity known as the ampere, or amp, is named for him.